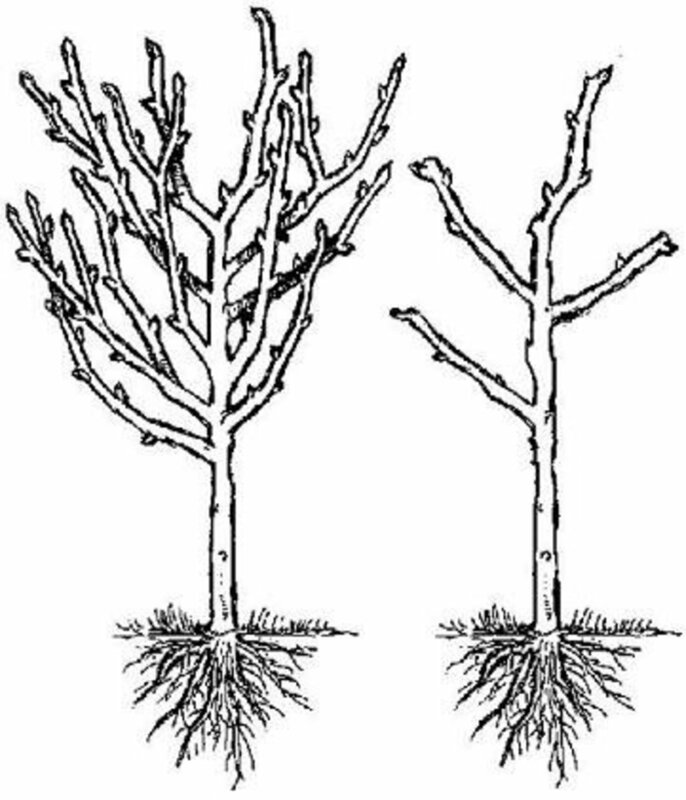 Pruning or thinning trees and shrubs. 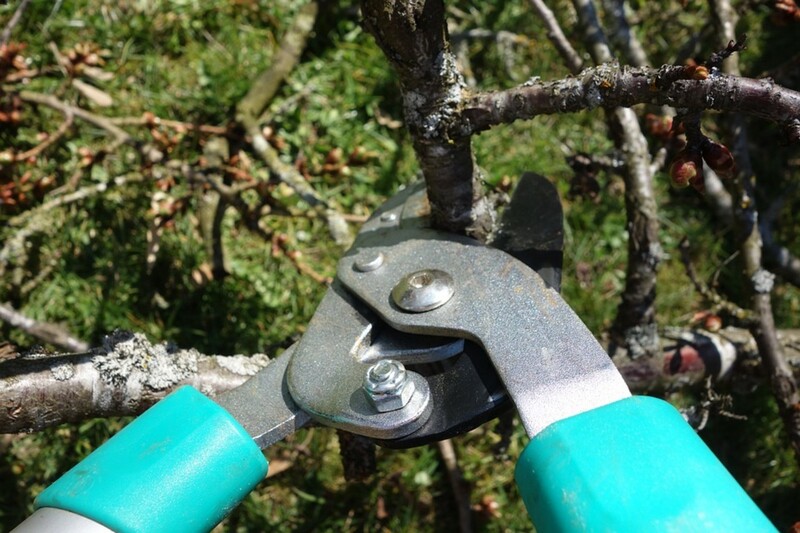 The single most useful tool for pruning has to be a folding saw. 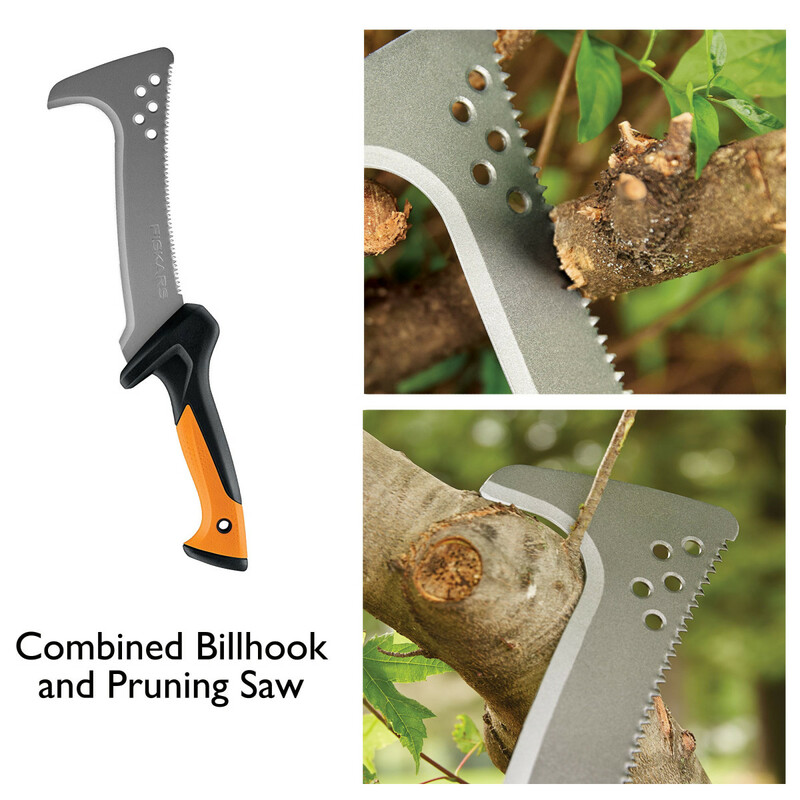 Folding saws can be small enough to slip into a pocket and perfect for odd pruning jobs in the garden. They can also sport mighty blades capable of sawing through large tree trunks. 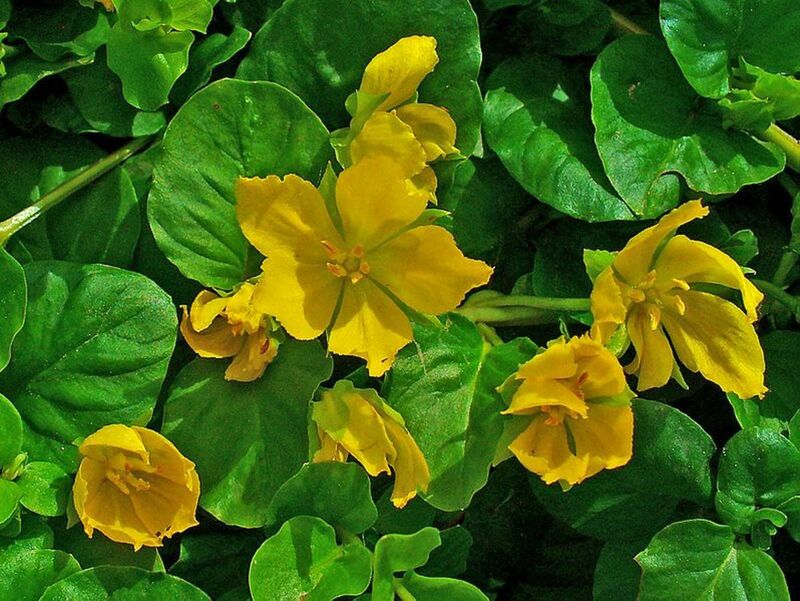 They are also useful to campers and anyone who spends time in woodland. A pole saw gets you round the ladder problem, makes light work of pruning and lets you see what you are doing better -- important if you want your tree to look good afterwards. 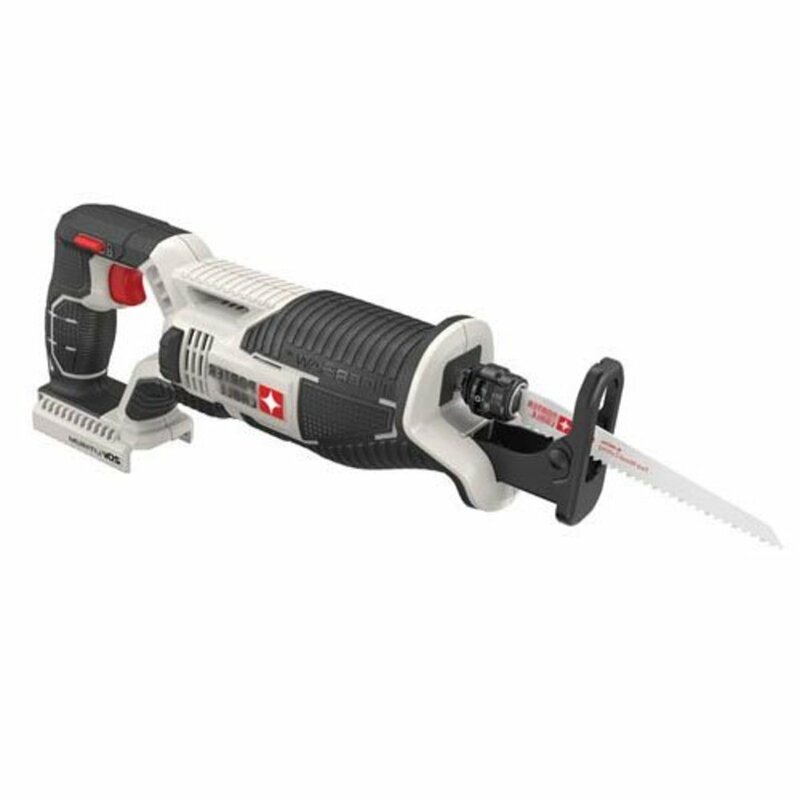 Cordless saw from Black and Decker with a long reach. A bow saw won't jam in wet wood. 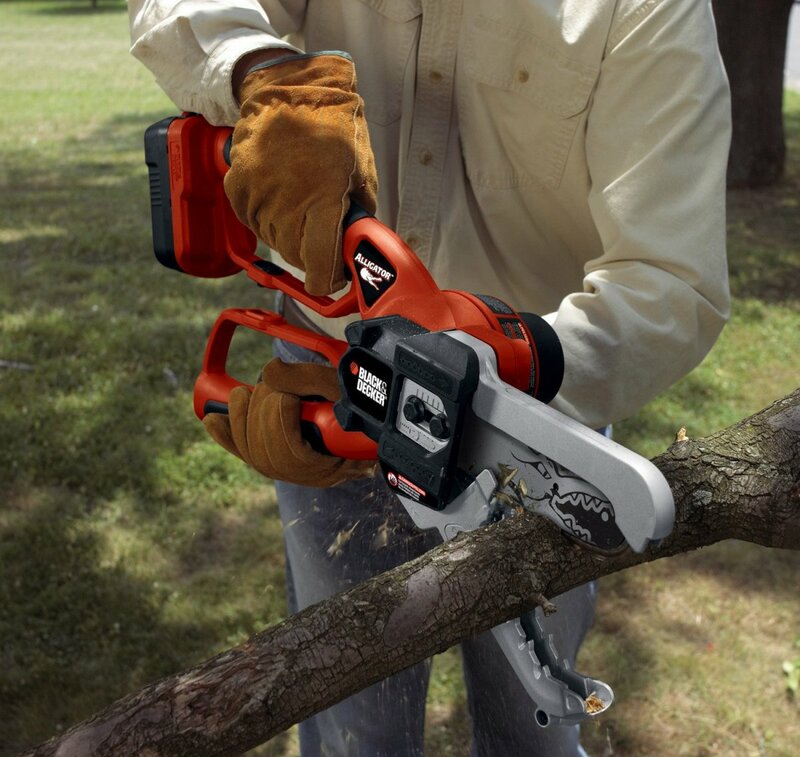 Most full-sized, quality bow saws will cut any tree or branch up to about a foot in thickness (working from both sides). The teeth are big and splay out wide. They clear plenty of wood as they cut so the blade will never stick. Don't expect to cut too straight though! A sharp bow saw and a strong arm will cut up medium-sized, fallen branches quicker than many power saws. There is no gas to find, no engine to start or cable to run. 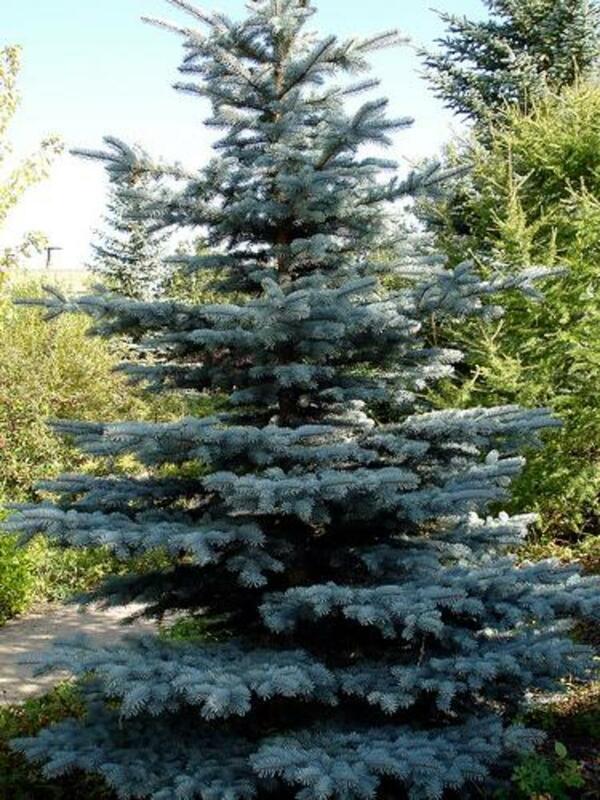 These are ideal if you only have a few trees to care for and like to keep fit! The technology is so simple almost any rugged bow saw will do those routine backyard jobs. I have a Bahco 30-Inch for working on wet wood. The tensioning mechanism is convenient and it cuts straighter than most. The video below has some useful tips for when muscle power meets sticky, living wood. Bear in mind that the wonderful Silky Katanaboy will cost around 200 dollars more than the Bahco! Combined billhook and saw from Fiskars. I have seen trees quickly and effectively pruned with machetes, alone, in the tropics, but the results are not always pretty, with split and damaged branches left open to infection. 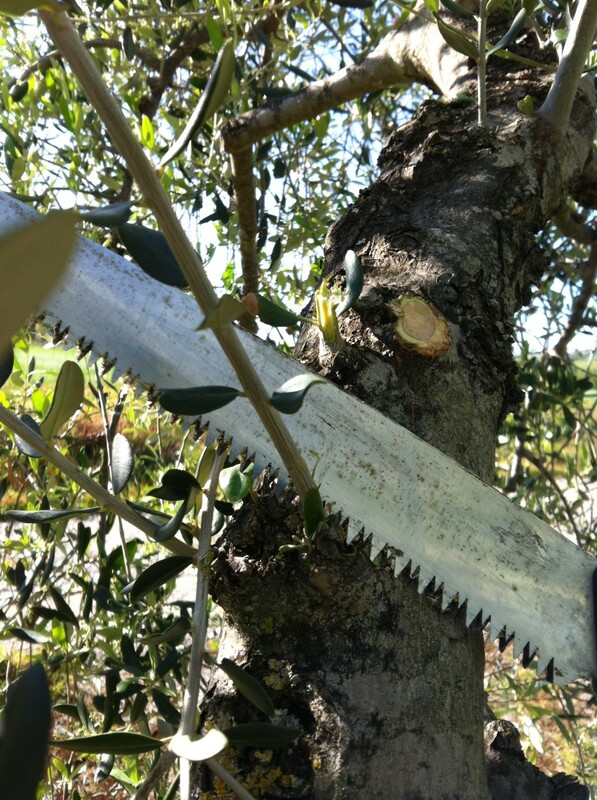 Machetes are not recommended for pruning prized trees! An 18-inch version is available from Fiskars. 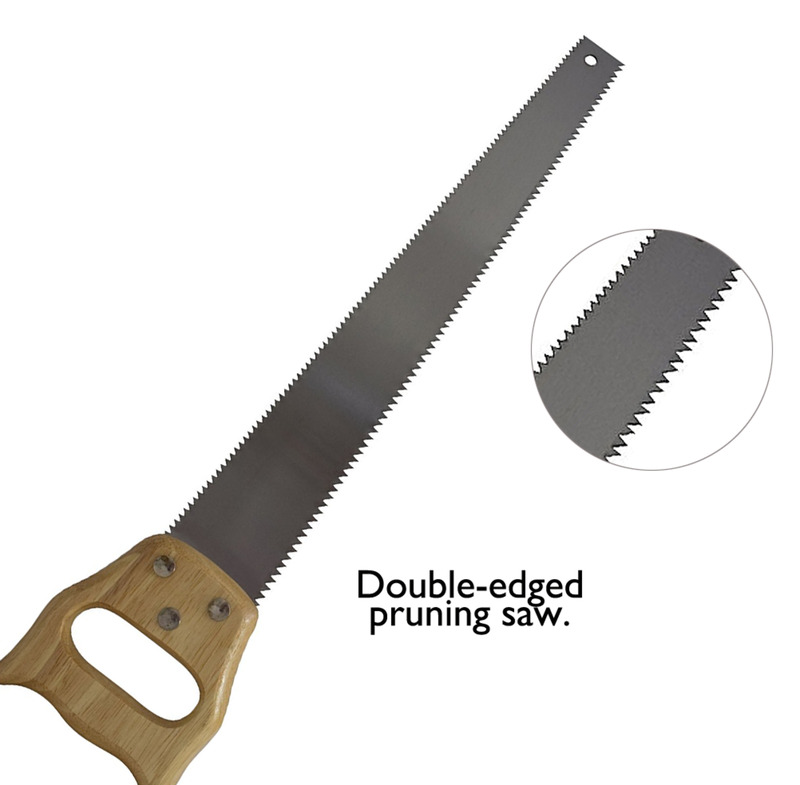 Double edged pruning saw, ideal for prized specimens. 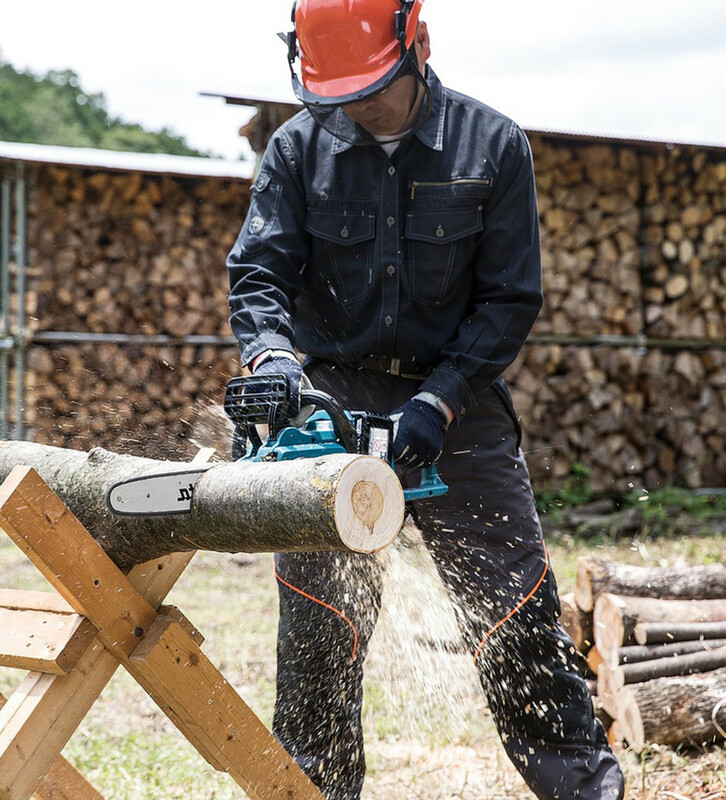 Chainsaws make quick work of cutting logs, as well as tree felling. Gas chainsaws have the most power but need regular maintenance. Leave one for any length of time and it might be hard to start. 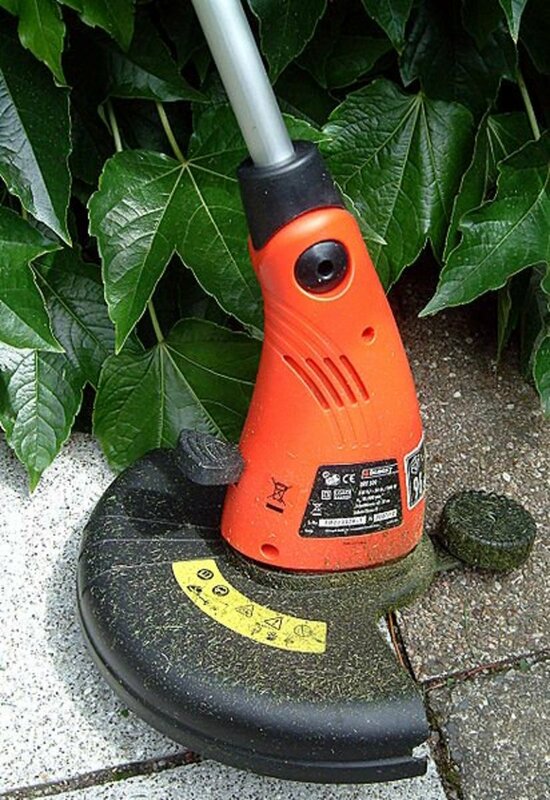 Cordless are convenient and can often be powerful enough to do the job, but only as long as the battery lasts. The size of you backyard is important in making a choice. Smaller backyards can be easily managed with an electric model. 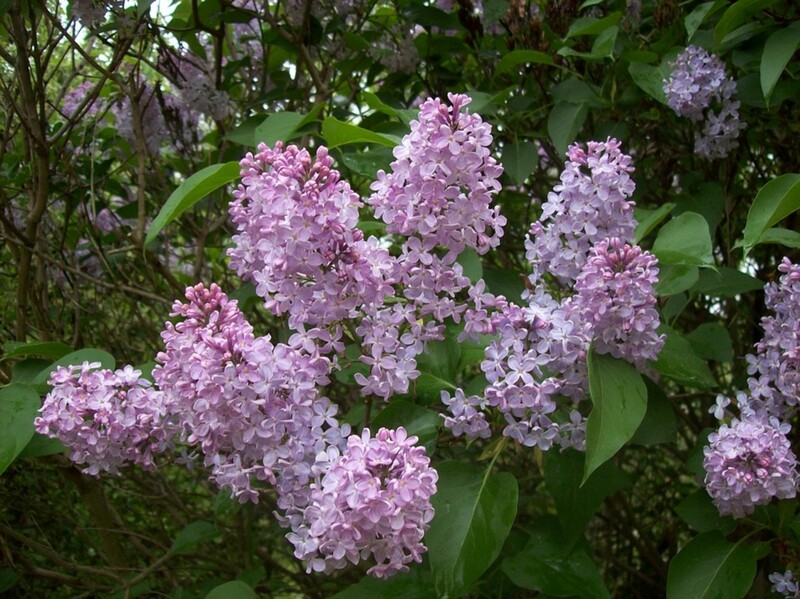 Big backyards that are trying to turn into a forest may need gas! A reciprocating saw is long, thin and easier to use in a hole than most saws. It will slice through tough roots without giving you a backache! Gloves are always a good idea when working with trees. Power tools almost always spit out chips or dust and eye protection is essential. The full kit pictured below is important if you plan to use a chainsaw. 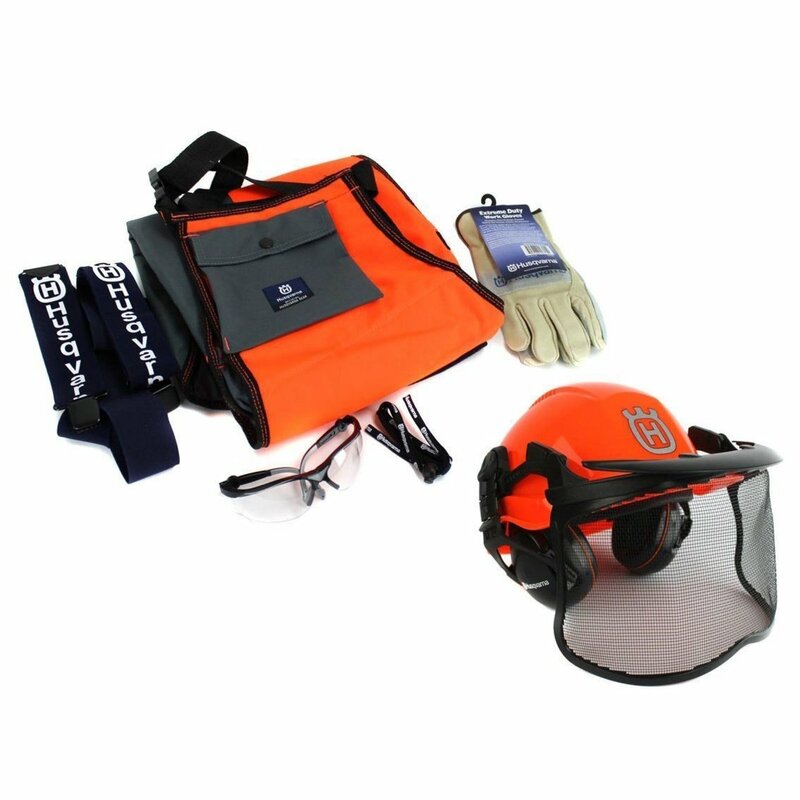 Helmet, wrap chap with suspenders, protective gloves and glasses. The first tip is to look out for overhead power and utility lines! 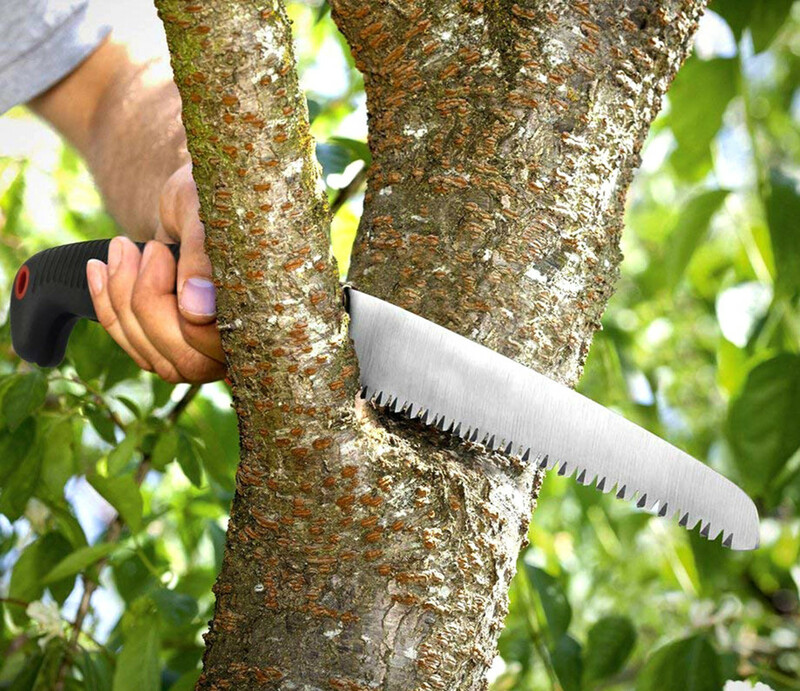 If you are pruning or cutting trees there is always a danger of something falling on you. A safety helmet and sturdy work boots (with reinforced toe cap is best) are important. If you are using any kind of power saw you should use safety glasses or a face guard- the wood chips fly everywhere. Some machines are very noisy and ear muffs might be needed. Blades are sharp and splinters can hurt so a good pair of gloves is recommended. If the work you are doing involves heavy lifting, a back belt of the kind that weight lifters use can give a lot of protection to spine and muscles. 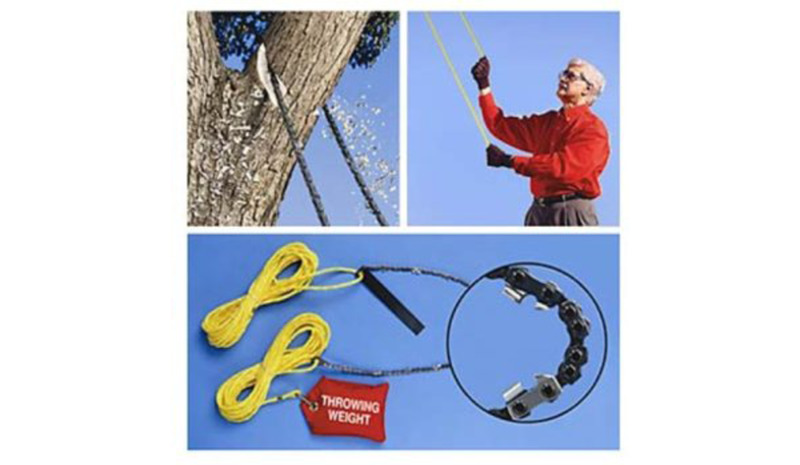 A lot of tree professionals use these --especially as they get older. 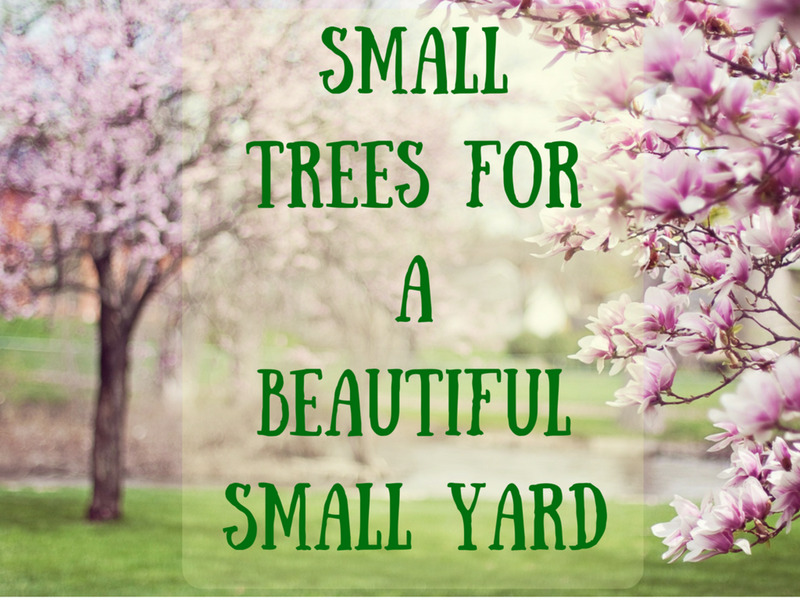 How Would You Describe Your Backyard/Garden? A riot of trees and undergrowth I hardly dare go near. 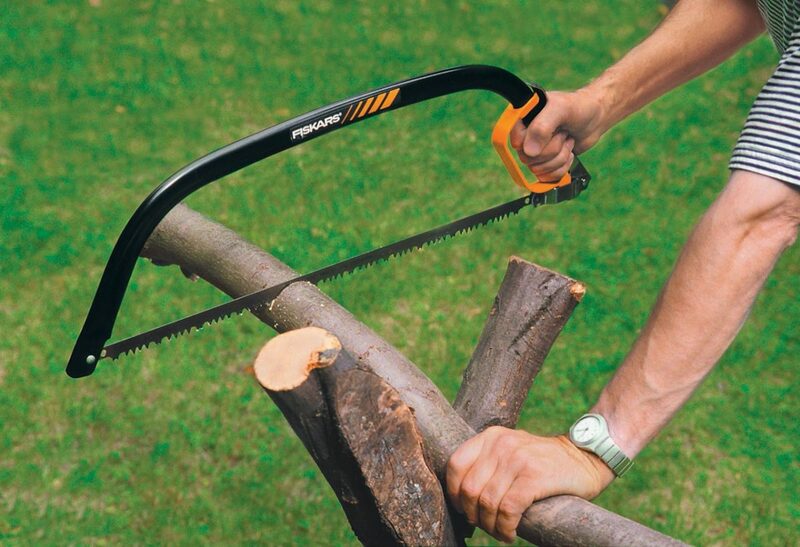 What hand saw is best for cutting up branches for firewood logs? For me, the only hand saw to use for producing firewood logs is a bow saw. Bow saw blades are inexpensive, extraordinarily sharp, easy to replace and will cut thick logs quickly. For traditionalists comfortable with sharpening saw blades, a woodsman's crosscut saw will be satisfying to use. These can be found in second-hand stores for a few dollars but will usually need some serious love to get in shape. 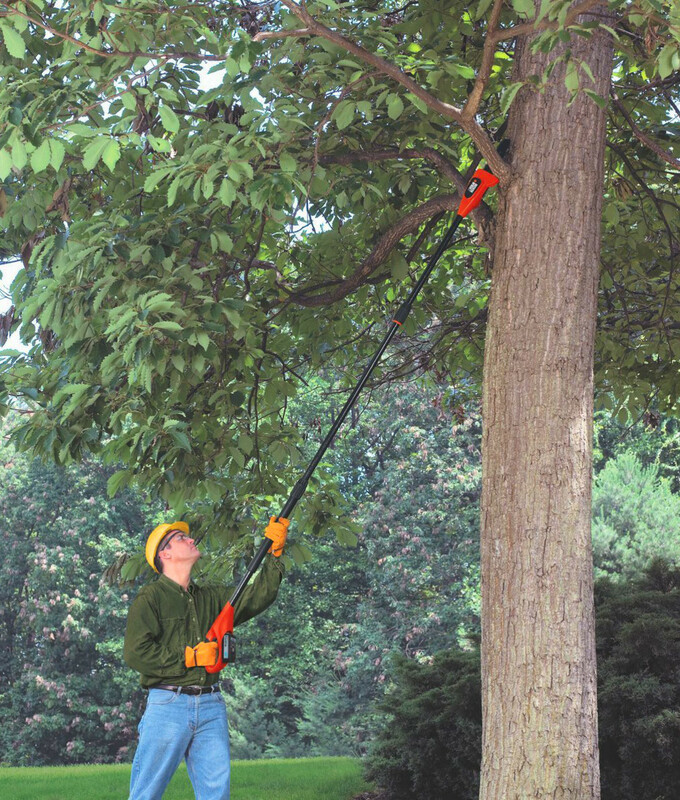 Rope saws are useful backups if you have trees with an open growth pattern. They are not quick and they do not give you a neat cut (the branches tend to split as they fall). I have used them on sycamores when a ladder is just too awkward. I reckon a reasonably fit woman can do any job in a garden that a reasonably fit man can do. My mother still looks after her own garden in her eighties and enjoys it. But if you can keep your feet on the ground, especially as you get older, it is a lot safer. The rope saw turned out to be really useful. I had to remove half an old apple tree which was overhanging the location for my new garden shed. Most of the limbs were 20 feet off the ground and out of range of a pole saw. The rope saw although slow was able to cut through 5 inch limbs. Hi Will. I don't see any women operators in your sawing pictures. I do a little pruning around the yard, and appreciate the safety and tool tips mentioned here. 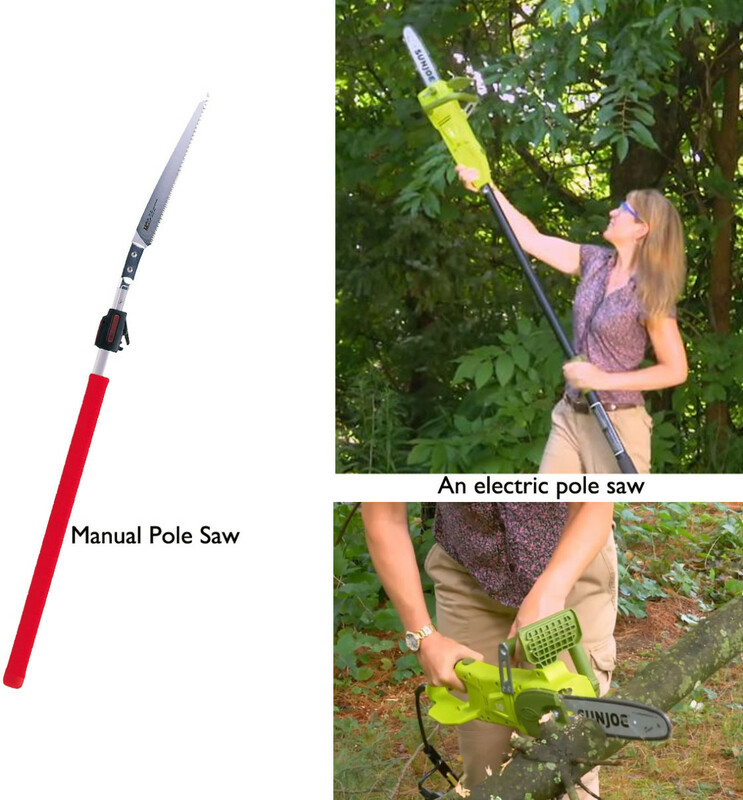 The pole chainsaw looks like a worthwhile investment. I've been using a small electric chainsaw for pruning mostly, but the trees have grown too tall for doing that now without a ladder. Chainsaw, electric cord, tall orchard ladder, maybe not a good mix, and, as you point out, moving a ladder around is a lot of work. Thanks. The Huber High Limb Cutter is the best by far. Made to not get stuck and is not made cheaply, but is still low cost. I wasn't aware of a wire saw for cutting branches, might try to make one with an old chainsaw chain. Again voted up and useful! After having worn out two bargain basement chainsaws, I'm back to using my trustworthy bow saw to cut logs around the garden! As you say, you can cut logs of one foot diameter or more (but it takes some time and effort!). I once cut up a 30 foot sycamore tree into firewood with a bow saw and if the teeth are razor sharp, it doesn't require a huge amount of effort. The blades on a bow saw lasts for years if you are prepared to undergo the tedious process of re-sharpening. Thanks for the overview! A 10-inch hand pruning saw sounds like what I need for our rosebushes.